With the lack of a brew pub, closing of Gambrinus (reopening at a different location June 2nd!...more to follow on that) and the home of Labatt's, London has struggled to be any sort of mecca for craft beer enthusiasts. 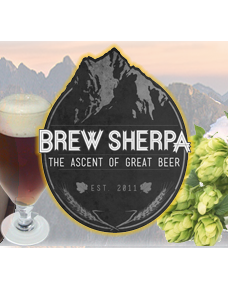 Thankfully we have a group like Brew Sherpa! The groups mission is to promote craft beer and comradery through various beer appreciation events and gatherings. Some more formal, some less formal, but always great people and a good time. Their latest trek will be from London, with a stop in Kitchener / Waterloo, to Session 99. The 2012 Brew Sherpa Session99 Roadtrip! "Saturday June 23rd and just like last year, it will be a blast! BYOB on the bus, quick pick-up for the KW folks, lots of laughs and great beers. Read below, if you're in please send an email to brewsherpa@gmail.com. All are welcome...by that I mean, all good natured, beer loving, legally-allowed-to-drink-in-Ontario individuals are welcome. Tell your friends. First come, first served basis. I will seek $20 in advance to hold your spot. Arrive at 99 Sudbury St. Toronto for the 1pm Session99 start time. The session ends at 4pm, but we depart at 6pm, giving us time to check out a favorite brew pub. Bellwoods is an option, and only a 10 minute walk from where we'll be. **Buy your Session99 ticket online here** (we worked it out for a bulk pickup at the door last year, but it logistically makes no difference and just means I had to juggle more of your cash)"